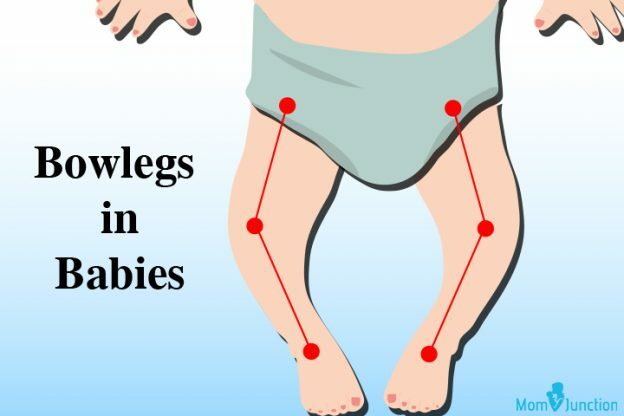 What are bowlegs in babies? Are bowlegs different from knock knees? How does a baby get bowlegs? Do bowlegs in babies go away on their own? Can bowlegs be a problem for the baby? How are bowlegs in babies diagnosed? How are bowlegs in babies treated? Can parents prevent bowlegs in babies? It is a sight to behold when your baby takes the first steps, stumbling and falling. All is well until you notice an outward curve down their lower legs, which may seem like an abnormality. The condition is called bowlegs, and it is quite typical among infants. Bowlegs do not last forever, and eventually, your little one will sport straighter legs. But what if it persists for longer and the curve gets deeper? 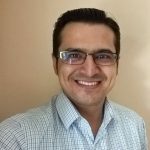 Can the condition be rectified? 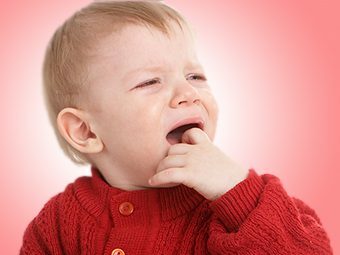 This MomJunction article gives you all the information about bowlegs in babies, what causes it, and if should parents be concerned about it. Bowlegs is a condition where the infant’s legs bend outwards, forming a curve that resembles a bow. Observe the legs when the baby stands. If the feet stay together, but the knees do not meet, and the lower leg bends outwards, then the baby has bowlegs. Bowlegs could also be visible when you stretch the baby’s legs straight during a massage. Bowing could happen on both legs or just one leg. Is Bowlegs Different From Knock Knees? Yes. Knock knees is the opposite of bowlegs, where the lower legs bend inwards instead of outwards (1). A baby with knock knees can hold the knees together cannot bring the feet close together. A baby with bowlegs can bring the feet together but will have a substantial gap between the knees. All babies are born with bowlegs, owing to their fetal position inside the mother’s womb (2). The baby’s legs fold in a manner that eventually leads to the formation of bowlegs once the baby is born, making it a normal phenomenon. Yes. Bowlegs slowly vanish after the age of two years, and the legs become entirely straight by the time your baby turns three. The baby will have bowlegs throughout early toddlerhood, between 12 to 18 months (3). There are some instances though when bowlegs could indicate an underlying problem. Blount’s disease: The baby develops an abnormality in the growth plate right above the tibia bone, which is the larger of the two bones in the lower leg. This disease causes the outer side of the bone to grow at a healthy pace while the inner side grows slowly. It is a developmental abnormality that eventually causes bowed legs. Precocious walking, or walking at an early age, is a symptom of Blount’s disease and a cause for bowlegs. Rickets: Caused due to a deficiency of vitamin D, rickets is often associated with bowed legs, which is also one of the symptoms of the condition (5). Dwarfism: If the baby develops dwarfism, then the lower legs can be susceptible to bowing. Numerous reasons arising from genetic disorders can cause dwarfism. Infants with dwarfism have problems converting the cartilage into bone, which leads to an abnormal limb growth and the development of bowlegs (6). Fractures: A fracture of the lower leg bone during infancy may result in improper bone healing, which can cause the lower leg to bow. The condition is medically called tibial pseudarthrosis (7). Fluoride or lead poisoning: Excess fluoride consumption and lead ingestion can interfere with bone growth and cause abnormalities like bowlegs (8) (9). The primary source of fluoride and lead is drinking water. Obesity: Obesity has been linked to the development of bowlegs (10). Toddlers who are fed junk food or given high sugar beverages such as juices and soft drinks tend to become obese. The excess body weight can cause the soft, underdeveloped infantile legs to buckle under pressure and cause bowlegs. Your child’s doctor will be able to identify the cause of prolonged bow legs during diagnosis. Measuring the distance between the knees while the baby lies on his/her back. A greater distance can indicate abnormality and the presence of bowlegs. X-rays can help check for bone anomalies and problems in bone growth that could have led to bowlegs. Blood test to check vitamin D deficiency or the presence of excess lead and fluoride in the blood. The doctor will ask you to walk the baby for some distance. The assessment of the baby’s gait can reinforce the diagnosis. If the diagnosis confirms bowlegs due to an underlying medical condition, the baby would need treatment. 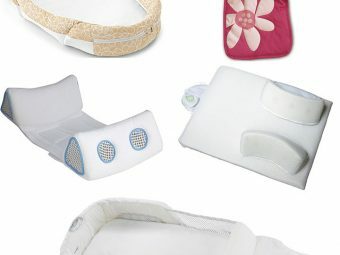 Leg braces: The doctor can recommend leg braces that the baby has to wear always or for a specific period depending on the severity of the curve. Braces are almost always the first choice of treatment since they are not invasive. Leg braces, ideally worn for a year and more, can be a stand-alone treatment or combined with operative procedures. Surgery: Bowlegs can be corrected by surgery, depending on what led to the formation of bowlegs. A procedure called osteotomy can fix the joints of the lower leg and align them properly. Other methods include bone grafting and insertion of an intramedullary rod along the bone, in cases of bowlegs caused by fractures. An orthopedic surgeon can best suggest the right procedure to correct the condition. In any case, surgery is best before the age of four years since the risk of relapse post surgery increases after that. Vitamin D supplementation: Adequate vitamin D and calcium supplementation provide nutrients to the bone to correct itself. Bowlegs due to rickets can be cured by these supplements alone. Physiotherapy: Physical therapy and rehabilitation let your baby regain the correct walking style and pattern. This therapy is mostly used in conjunction with other treatment methods. The primary aim of physiotherapy is to restore normal joint movement and improve muscle strength. The surgeon may also use external fixators, which are metallic-circular devices worn over the affected leg. The fixator can be used after the surgery to help further align the legs and fix discrepancies in limb lengths. Sometimes, you can prevent bow legs. Find out how next. Be mindful of injuries: Leg fractures during infancy increase the chances of bowlegs. Baby-proofing your home when your little one begins walking keeps the baby safe and prevents the chances of injuries or fractures due to falling. Give the baby adequate vitamin D: Vitamin D aids in better absorption of calcium and phosphorus for healthy bone growth (13). The American Academy of Pediatrics recommends a daily dose of 400 IU (international units) of vitamin D per day for infants and toddlers (14). 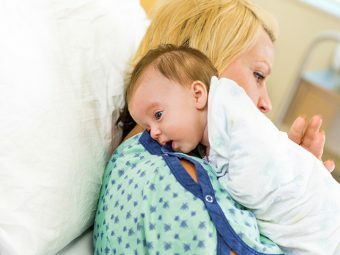 Formula-fed babies usually get the recommended dose from 32 oz (947 ml) of fortified formula per day, while exclusively breastfed babies can be given vitamin D supplements after doctor consultation. Prevent lead and fluoride poisoning: Make sure that the drinking water at your home is free of lead or fluoride. While lead is a definite no-no in drinking water, there may be some amount of natural fluoride in water supplied by local municipal bodies. Usually, less than 1 mg of fluoride in one liter of water is safe without adverse consequences (15). Bowlegs is a regular occurrence during infancy and early part of toddlerhood. If you notice any abnormalities, get the baby checked by a specialist without delay. Note that some children may carry the condition until their fourth or fifth birthday, and eventually lose the bow shape (16). Nevertheless, your doctor may suggest a treatment even before to let your baby grow with standard, straight-aligned legs that enable a sprightly gait.